The Luxury Train Club presents the Eastern & Oriental Express. 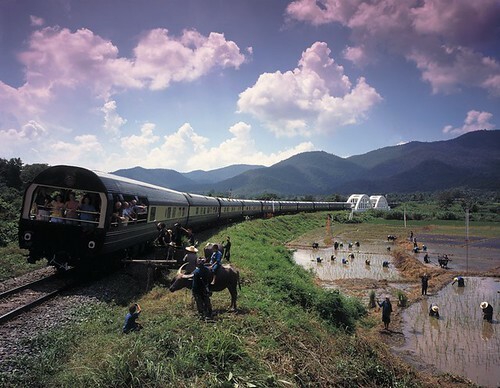 "A quarter of a mile in length, the Eastern & Oriental Express luxury train recaptures the golden age of rail travel through one of the world's most beautiful and exotic regions. Gourmet cuisine, personal service and luxuriously appointed cabins come together in delightful harmony whilst the train gently travels through the sounds and sights of tropical forests close to the earth's equator. Accommodating 132 passengers in 66 air-conditioned cabins, the Eastern & Oriental Express is a truly unique way to explore South-East Asia and a remarkable celebration of any special occasion."